CATHY J. SCHLUND-VIALS is a mixed-race Cambodian and white American. She holds a Joint Appointment as professor in the Department of English and the Asian and Asian American Studies Institute in the College of Liberal Arts and Sciences at the University of Connecticut. Her latest book is Asian America: A Primary Source Reader (2017), co-edited with K. Scott Wong and Jason O. Chang. 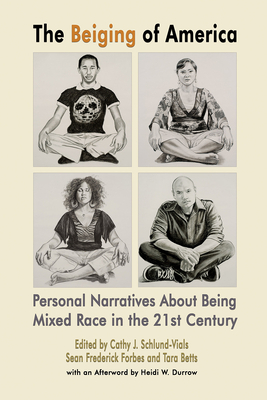 SEAN FREDERICK FORBES is a mixed race Afro-Latino and the series editor of 2Leaf Press' 2LP EXPLORATIONS IN DIVERSITY. He is the co-editor of the series' first book, WHAT DOES IT MEAN TO BE WHITE IN AMERICA? (2016), and author of the poetry collection, Providencia: A Book of Poems (2013). He is the director of the Creative Writing Program at the University of Connecticut. TARA BETTS is a mixed-race award-winning poet, author and scholar of African American and white French descent. Betts is the author of Break the Habit (2016), Arc and Hue (2009) and the libretto, The Greatest: An Homage to Muhammad Ali (2010). She has appeared in several radio and television programs, and her work has appeared in numerous journals and anthologies. She is currently a professor at University of Illinois-Chicago.